A classic, round form, the 14" Blackspot lamp shade in Black is suited to blend with the decor of any room. 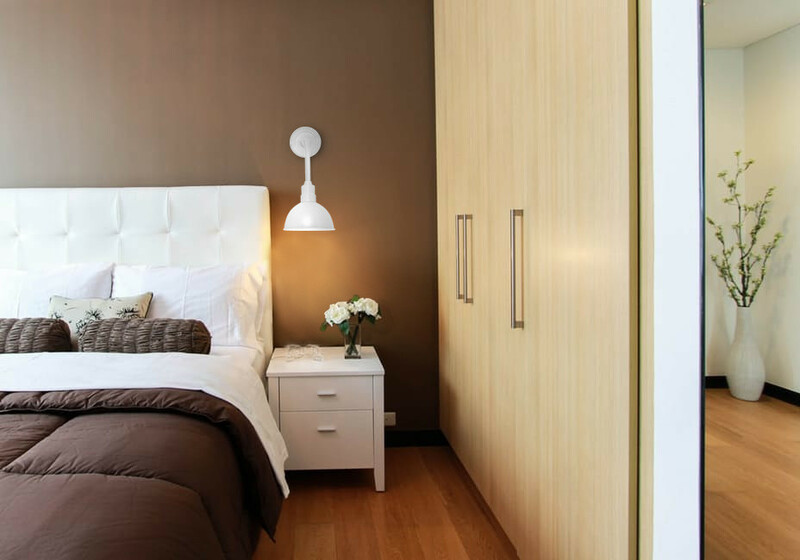 Its simplicity allows it to subtly accent its surroundings. 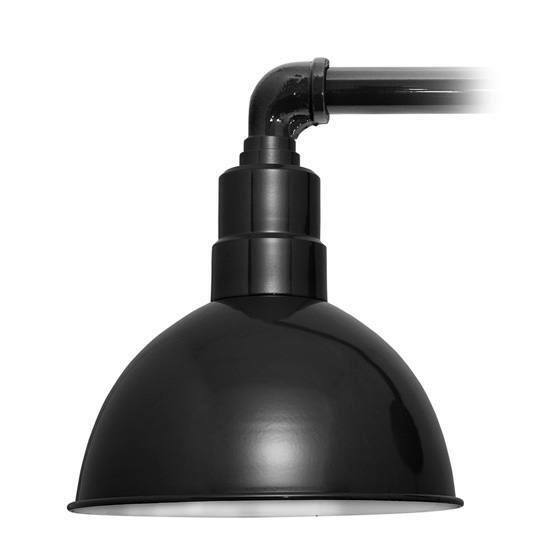 The Black Cosmopolitan arm pairs with the Blackspot shade with its similarly simplistic straight bar design to compose this versatile sconce light.